Free Kids Sunday School Lessons! Have you been looking for free Sunday school lessons for kids with entertaining characters that help children learn and remember Bible stories? If so, you'll want to learn more about free children's Bible lessons with Donkey Ollie! These are web versions, please contact us for printable versions. Norwegian (50 MB) Contact Us! Swedish (50 MB) Contact Us! Tamil (56 MB) Contact Us! Thai (58 MB) Contact Us! With his catchy songs and inspirational messages, Donkey Ollie is loved by children and appreciated by adults -- a perfect combination for Sunday school success. We are thankful to Mark Garland and his wonderful crew for putting the finishing touches on our Free Sunday School Donkey Ollie Android App.  We are providing a link to the Google Play store where you can download the app for your Android device at no charge. Feel free to request from us a printed copy of the forty-book series. We have checked out the children's Sunday School materials and the app looks and performs wonderfully. With these free Bible lessons for kids, you get a character that is featured in over 100 countries and is based on popular children's series, Adventures of Donkey Ollie--a forty-book series with character design by Mike McKinney, who created the popular characters from the hit movie "Lion King." 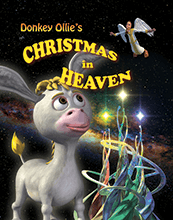 McKinney captivates children with Donkey Ollie and his positive lessons for kids about Christ. 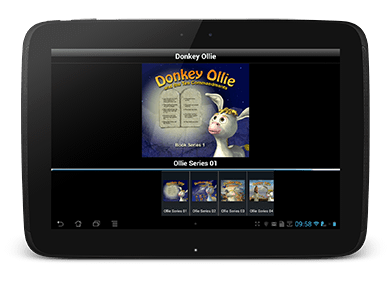 The Donkey Ollie series features Ollie as he adventures through biblical times -- teaching children Bible lessons and moral truths along the way. Integrating songs, maps and history, the videos are fun, entertaining and completely kid-friendly. It is often difficult to find free Sunday school lessons for children that present biblical messages in a way kids can understand and enjoy. With Donkey Ollie, your community's youth will learn the message in a way that makes the Bible fun and memorable, all with an incredibly lovable character and his friends. With music and a fun cast, Donkey Ollie is the perfect mixture of inspiration and entertainment -- a wonderful combination for capturing the minds of little ones and helping them to grow in their faith. Plus, there is no licensing fee, making the Donkey Ollie series free for you to use with your Sunday school classes. These free kids Bible lessons are perfect for bringing the message to life for children of all ages. When looking for an entertaining Bible lesson for Sunday school, turn to Donkey Ollie! Check out Donkey Ollie for yourself today! View samples of the videos and download the free book series by clicking on the links below. Check Out More Donkey Ollie Adventures! 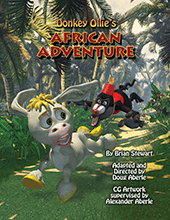 Donkey Ollie stars in Christmas in Heaven and African Adventure! Two other series currently available to download as Web Versions below. These are JPEG images only, in English. Boat Angel Outreach Center ©2012. All Rights Reserved.